The future has never been brighter for Dialysis Technicians! Join a profession that allows you to be an important part of the health care team! 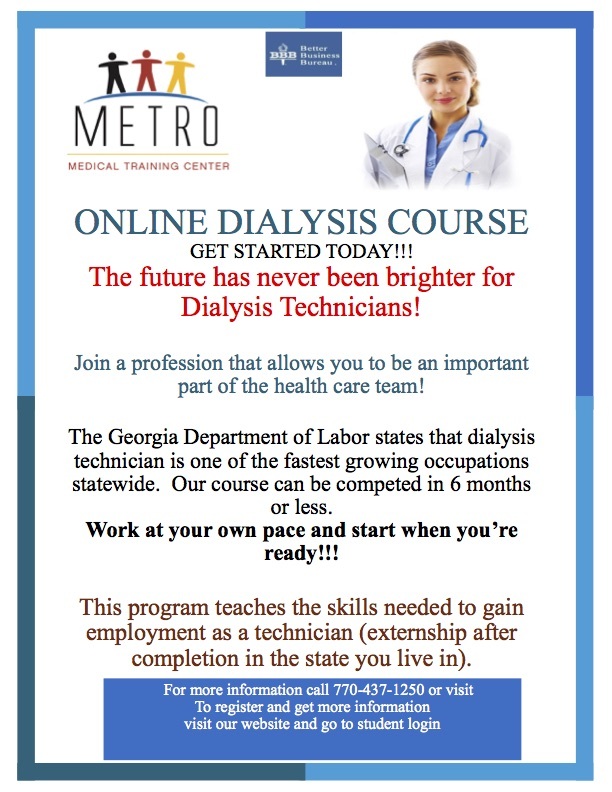 The Georgia Department of Labor states that dialysis technician is one of the fastest growing occupations statewide. Our course can be competed in 6 months or less. Work at your own pace and start when you’re ready!!! This program teaches the skills needed to gain employment as a technician (externship after completion in the state you live in). The cost of the program is $1,500.00.